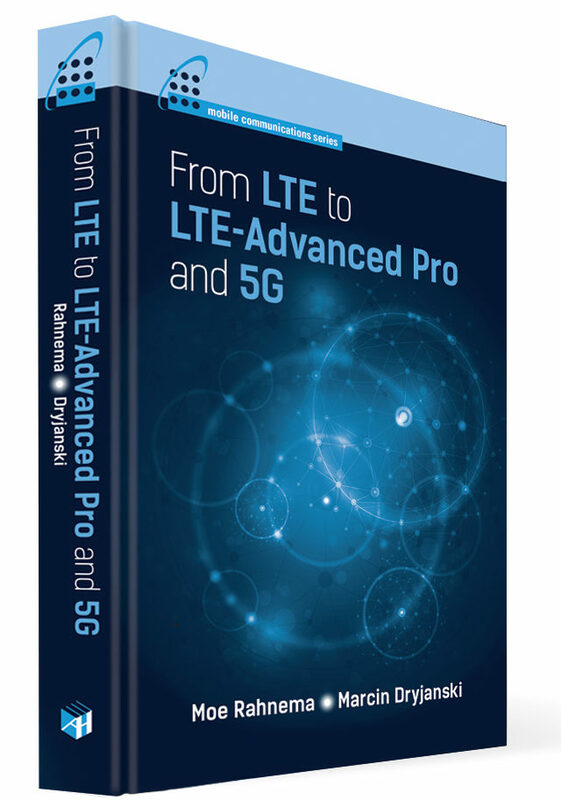 The ever-increasing needs for more spectrum resources, and the new Radio Access Technologies (RAT) to serve Mobile Broadband (MBB) services add to the complexity of the Spectrum Toolbox in mobile networks landscape. 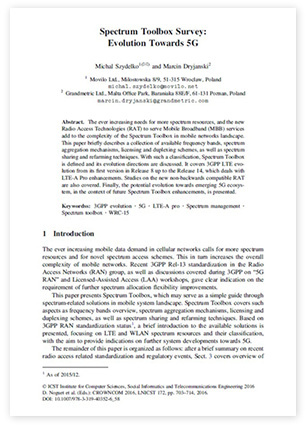 This paper briefly describes a collection of available frequency bands, spectrum aggregation mechanisms, licensing and duplexing schemes, as well as spectrum sharing and refarming techniques. With such a classification, Spectrum Toolbox is defined and its evolution directions are discussed. 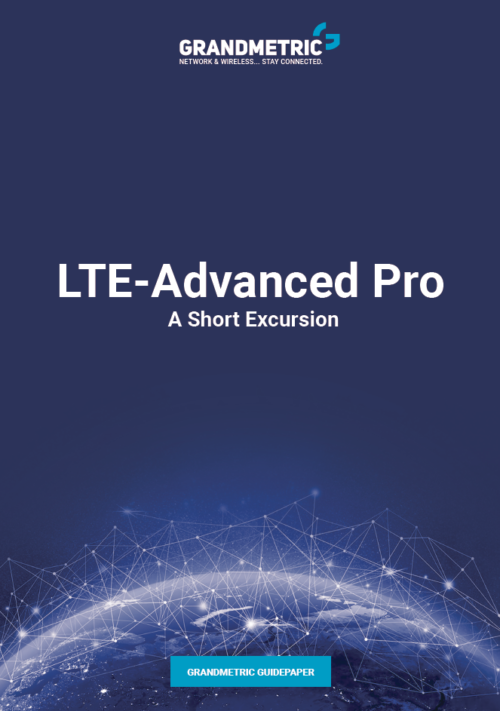 It covers 3GPP LTE evolution from its first version in Release 8 up to the Release 14, which deals with LTE-A Pro enhancements. 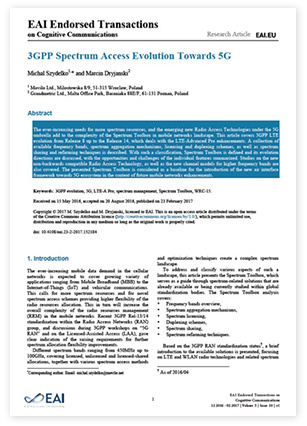 Studies on the new non-backwards compatible RAT are also covered. 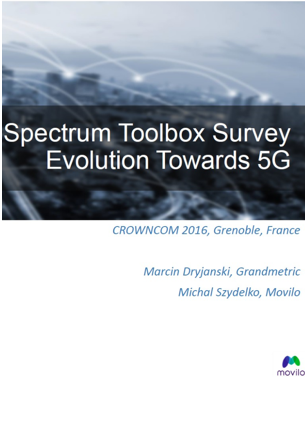 Finally, the potential evolution towards emerging 5G ecosystem, in the context of future Spectrum Toolbox enhancements, is presented.